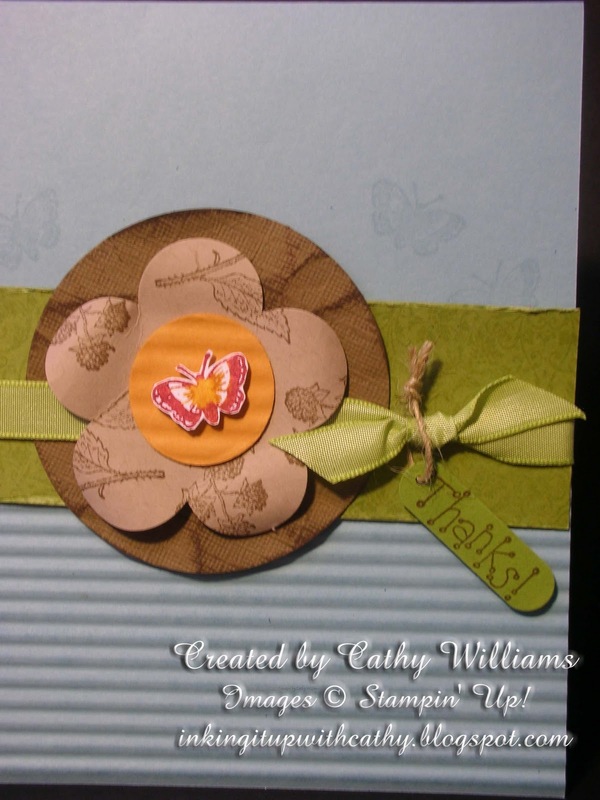 Every year at Stampin' Up! 's Convention, we have a session for Make & Takes. Usually I am so tired by then (I select an afternoon session) that I end up sitting and visiting with other demonstrators instead of making the card. That means I end up with the card materials back at home with me. 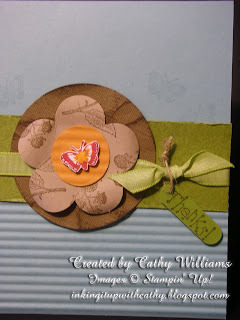 During a recent craft room purge, I came across the materials for making this card so I thought I would finish it up. I think it is a very effective way of using the crimper tool.